Ben and Holland jumping like excitable children. And Chicago's skyline. 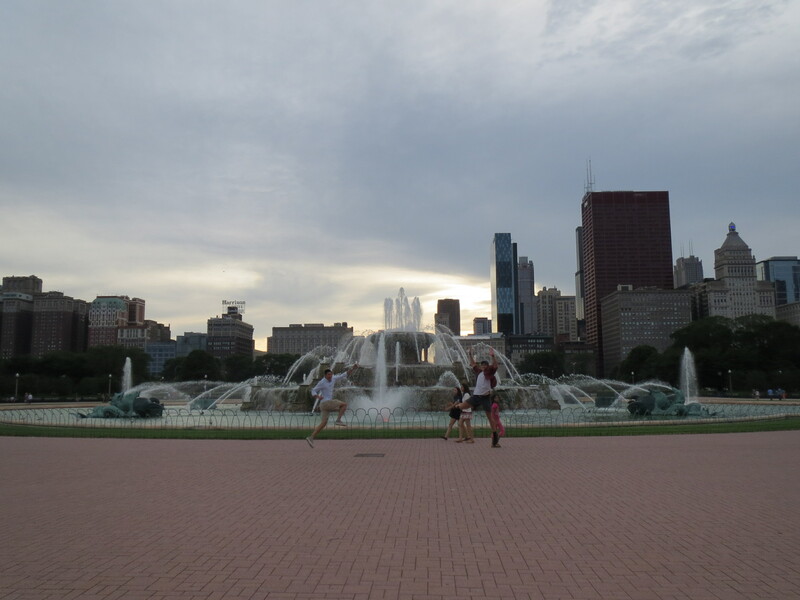 My time in Chicago did not last long and I soon set off north, following the shore of Lake Michigan. However, before I left, Holland ensured that I was well nourished. 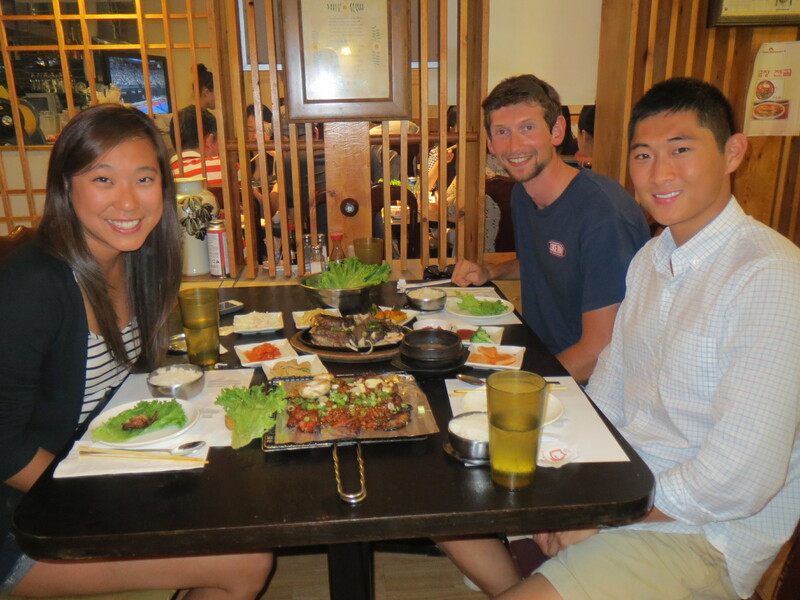 Not only did I get to try the city’s famous deep-dish pizza, but I also seized the opportunity to gorge on galbi (Korean barbecue). Rarely has food made me so happy. Whilst exploring, we managed to meet up with Ben, who was drinking away his time in Chicago, before catching a train down to Denver. 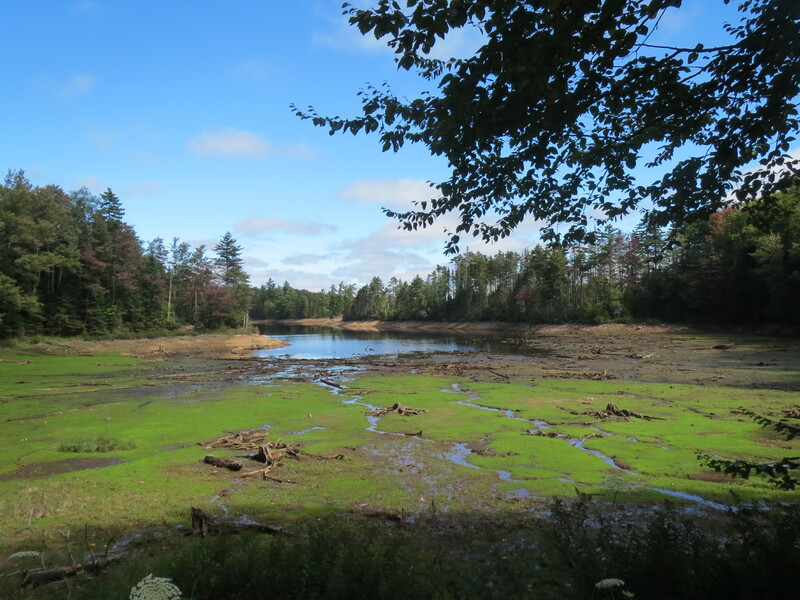 Despite numerous people having rhapsodised about the idyllic nature of Upper Michigan, I had not been back on the road long before my spirits were dampened. 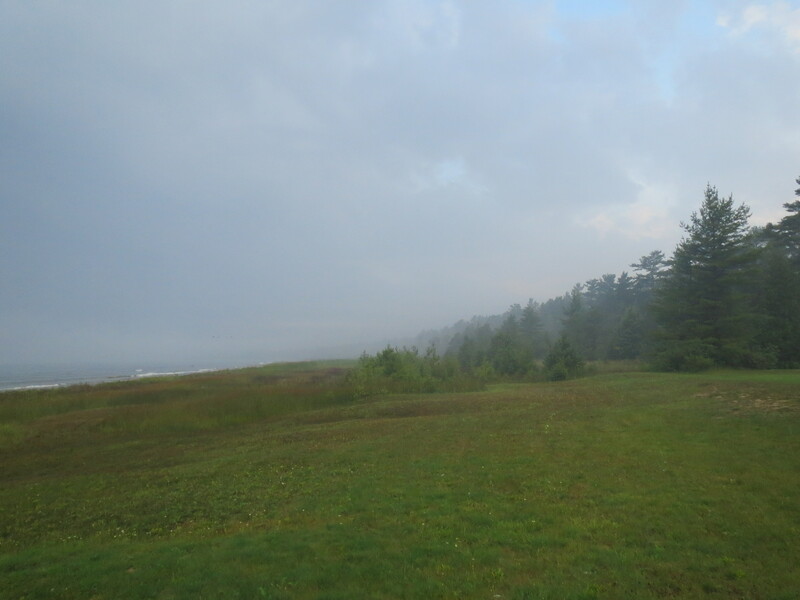 Torrential rain blinded me to the beautiful scenery, whilst a thick mist did its best to obscure everything else. 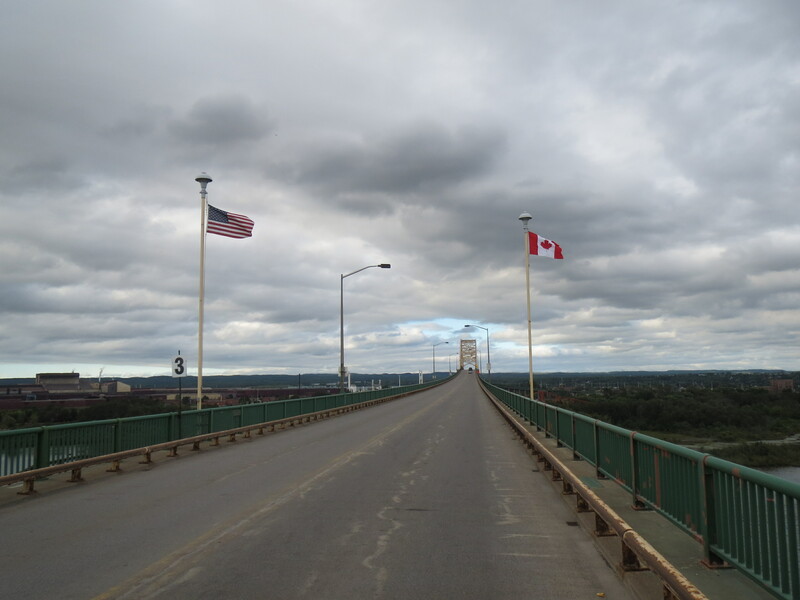 It wasn’t until I crossed into Canada, at Sault Sainte Marie, that I began to fully appreciate the vast beauty of the, aptly named, Great Lakes. Of course, such a reprieve was short-lived and, before long, I was once again cycling through sheets of falling water. 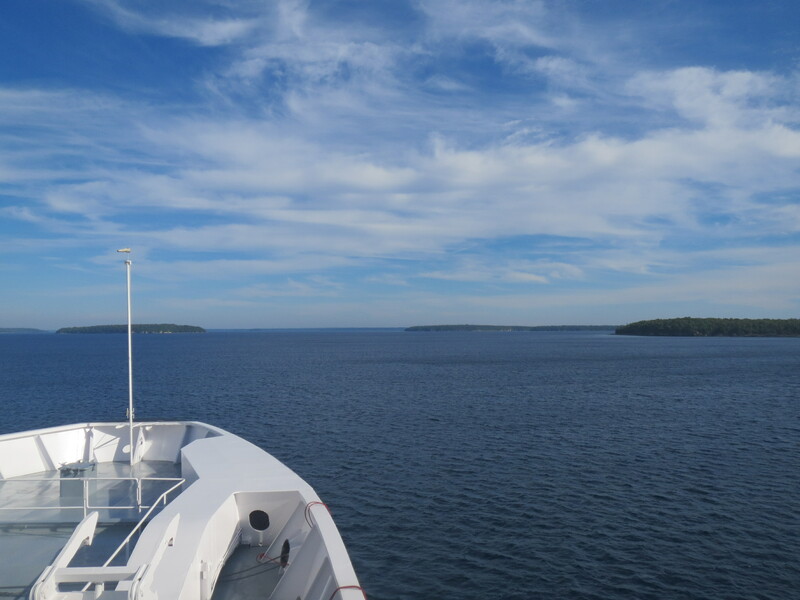 Fortunately, I quickly left the rain and the unpleasantly busy TransCanada Highway behind, making my way down the sparsely populated Manitoulin Islands. Racing to make the twice-daily ferry, I barely had time to absorb their beauty as a hurtled along the peaceful roads. 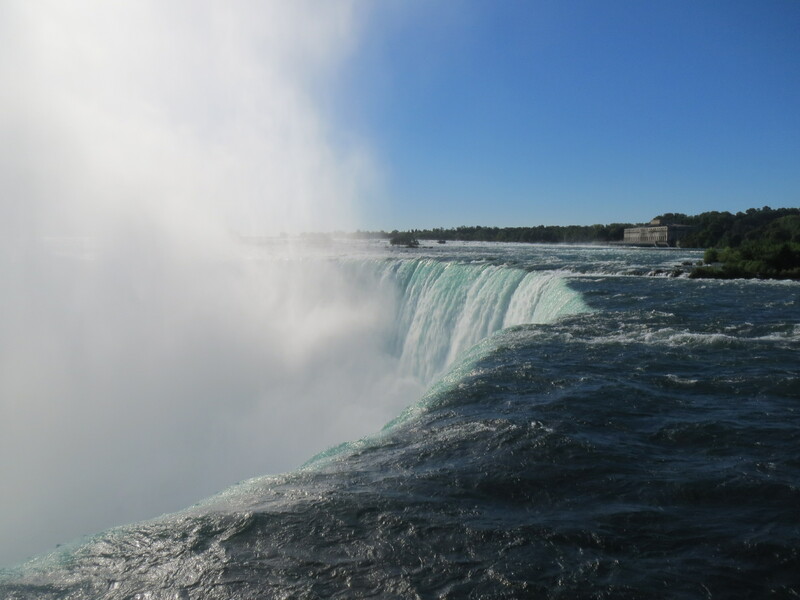 Instead of heading straight for Toronto, I chose to take a scenic detour via the Niagara Falls. My progress was slowed by my tyre choosing to explode, but fortunately a combination of duct tape and super glue quickly repaired the damage. Before long, I had taken some obligatory snapshots of the thundering tourist trap that is Niagara and was headed back towards Toronto. Here, I stayed with Megan, whom I had first met in British Columbia. 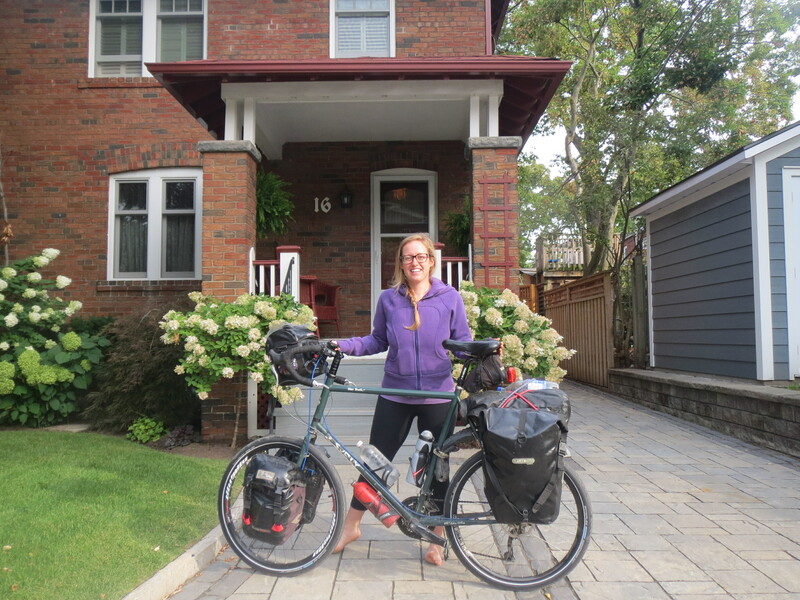 She had just returned from Nova Scotia, having finished her trip across Canada. 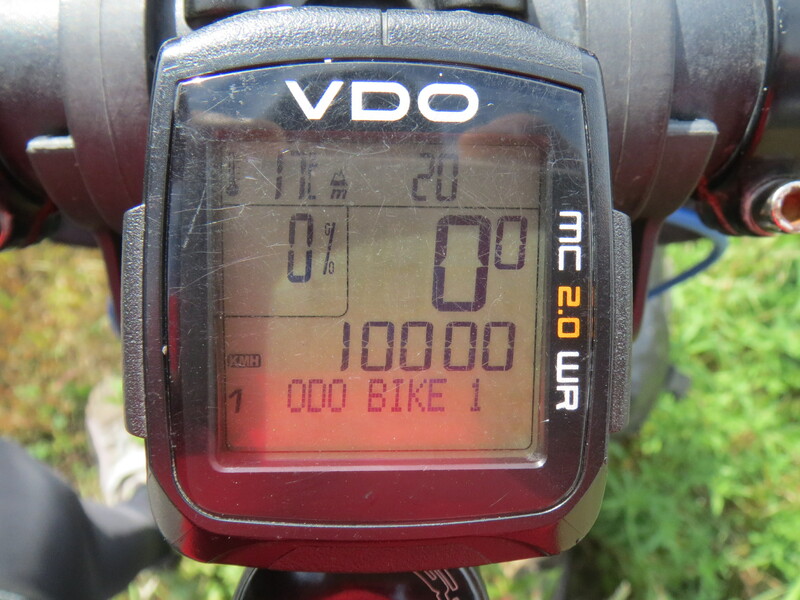 Taking only 59 days to cover 6,700 kilometres, her feats put me to shame. She and her parents were incredibly hospitable hosts and I spent an enjoyable couple of days exploring Toronto and relaxing. 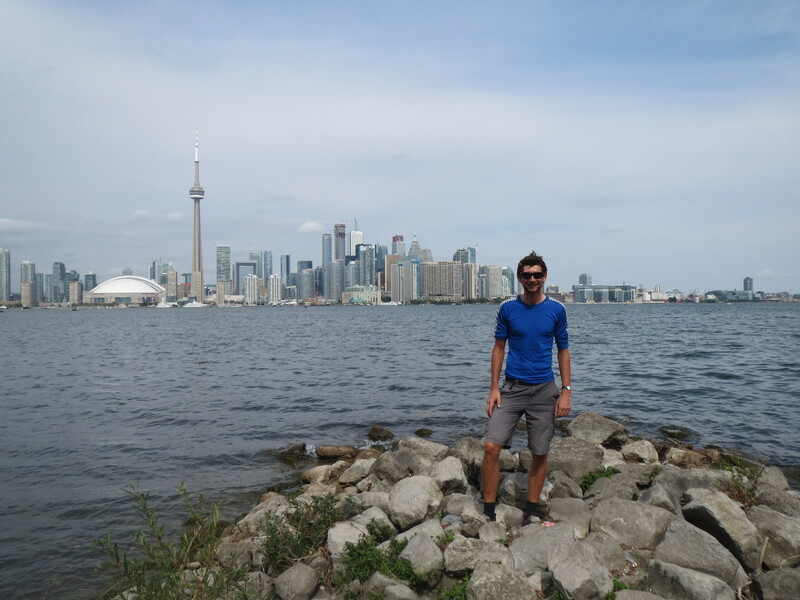 In fact, the downtime was well-earned, since I had just covered a formidable 1,800 kilometres in the two weeks since leaving Chicago. No sooner had I left Toronto, when autumn suddenly descended upon my surroundings. I had began to notice the subtle yellowing of the leaves already, but it was the not-so-subtle drop in temperature that truly announced the changing of the seasons. Instead of basking in the balmy weather of late summer, I was soon shivering in frigid single-digit conditions. And returning to the United States did little to change this. After only just persuading the immigration officials to let me in, I was greeted by an inundation of freezing rain. It was this chilly, wet welcome that persuaded me to pay for a campsite, and a hot shower, for the first time in two months. Once the rain cleared away, I began to climb and was soon entering the Adirondack Mountains. Having been craving hills – or even hillocks – for months, I was exhilarated by this return to my favourite kind of terrain. The autumnal colours and thickly wooded hillsides only made the experience more beautiful. 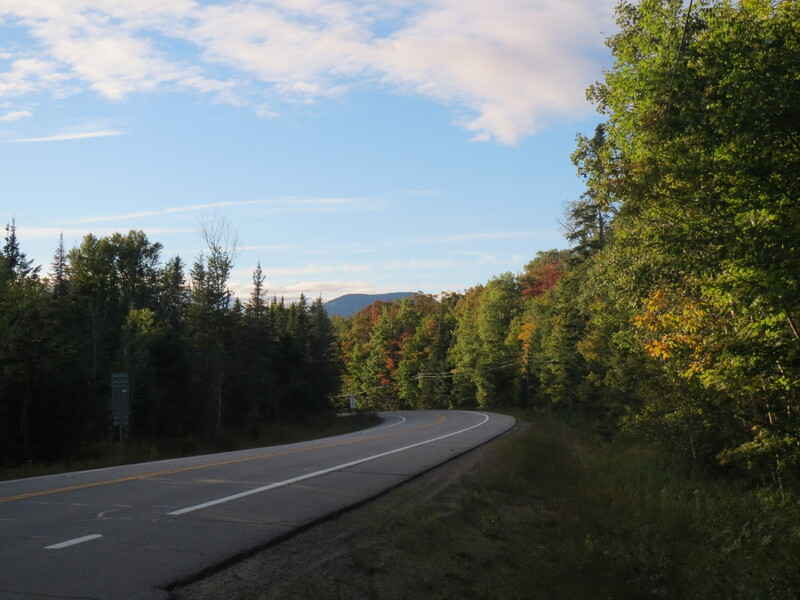 And I relished the addictive landscape of the Adirondacks as I wound my way towards to Plattsburgh. In Plattsburgh, I met up with Celine, another friend from Korea and someone who is rarely in one place for any length of time. Catching up with her whilst she was stationary was a pleasant surprise. 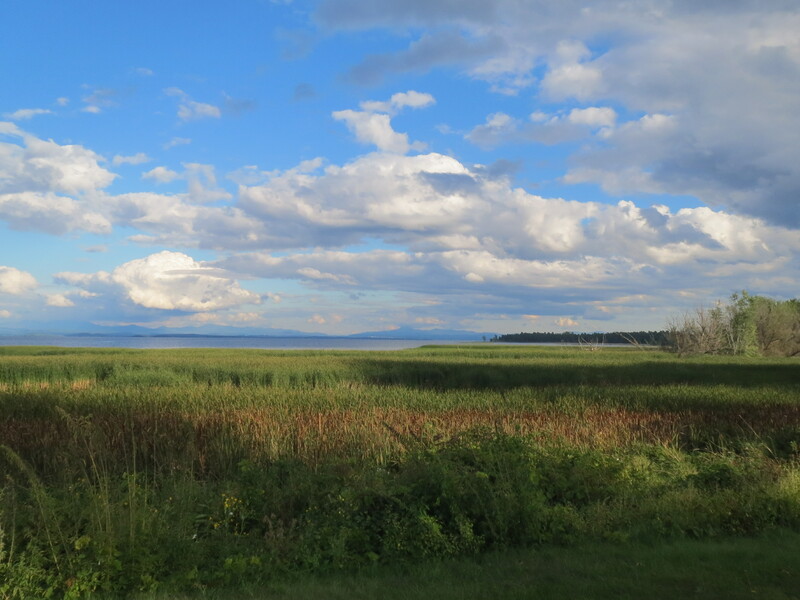 But with the cold weather warning me of the need to hurry south, I was soon back under way and crossed over Lake Champlain, into Vermont. Here, the deliciously steep inclines of the Green Mountains greeted me, including the steepest paved road in the Northeast, leading up to Lincoln Gap. With gradients hitting 22%, this climb was too good to be missed. For once, my exertions did not go unnoticed and I grinned sheepishly whilst a group of impressed cyclists applauded my arrival at the summit. Back on slightly more manageable roads, I am now making my way towards New York City at a fine pace. The urban sprawl of the East Coast will soon engulf me, but before long I will leave these crowded streets behind, to seek respite in the foothills of the Appalachians. Hey Chuck, thanks for the advice. I cycled into NYC yesterday and did about 2/3 of the 90 miles on paved cycle paths. The views were awesome as I approached Manhattan, but the best views were from the Williamsburg Bridge at sunset. Amazing! 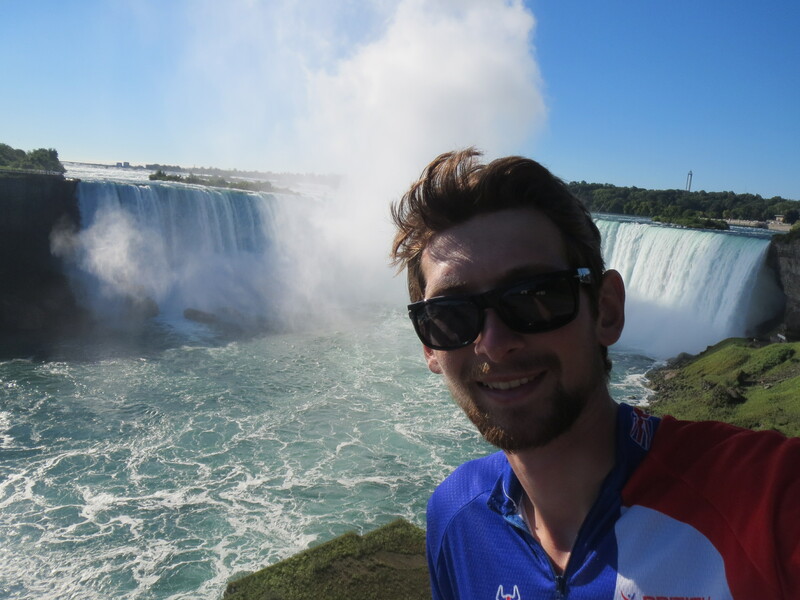 So pleased that you didn’t cycle straight past Niagara! The Adirondacks look awesome. It sounds as though Megan was a pretty amazing cyclist. Buy some gloves! Gloves won’t help me in Cuba!